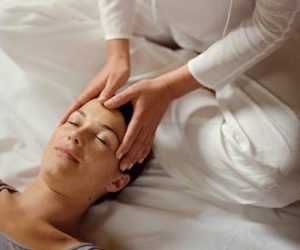 Medical Shiatsu is a centuries-old Oriental natural healing, oriented towards the universal principle of energy, disturbance in energy and its healing properties of mankind. The basic principle of Medical Shiatsu is primarily focused on the natural properties of the body. The starting point of the natural practitioner is the concept to harmonise the energetic balances of the body. In the case of Medical Shiatsu, according to the principles of Toru Namiskoshi, this way of thinking is not based on inexplicable miracles, rather it focusses on a thorough knowledge of the theory of energy, the body’s anatomy, physiology and pathology including substantial Western medical knowledge. According to the philosophy of Oriental medicine, nature is Master. Everything is in relation with nature as an entity. Disease and symptoms appears when the body loses its harmony with nature. Guiding the patient to their natural energies is the basis of a Medical Shiatsu treatment. In the late nineties, the Oriental and Western medical perspectives were favourably posed towards each other and inclusive. These poles were assembled worldwide and unthinkable contacts were made leading to the integrative practice of medicine. From these movements, Medical Shiatsu arose and will be developed and further integrated in the 21st century. Medical Shiatsu therapy is an integral system of the treatment of pathological symptoms. The effect of Medical Shiatsu is perceptible energetically, as well as on neurological, myological (muscular), circular, organic and psychological planes. – the Namikoshi basic technique – A structured technique of pressure, practised with the thumbs, the fingers and the palm on specific points (Tsubo points) of the body. – the five laws of the meridian system. – adequate Western medical knowledge. 2. the existence of the polarity yin-yang (negative-positive energy) within this cyclic system. 5. on these specific courses are points located with special qualities. In the body is a communication system located between the internal organs and the system of meridians. Via the meridians, an organic disharmony can be discovered before this disturbance develops into a pathological problem. For example: via the Tsubo points of the gall bladder meridian an irritation of the gall bladder can be discovered in an early phase and a treatment could prevent further development of the irritation. To stimulate and to support the state of health by triggering the immune system of the body. Focused on recovery of the energetic, neurological, mycological, circular, organic and psycho somatic dysfunctions. – guide the patient to the natural power of healing. This stimulates in the patient the process of awakening to the responsibility of one’s own personal health. – establish primary well-being from the patient as a starting point. He/she offers the patient absolute safety, mentally, as well as physically and socially. This fact forms a relationship based on mutual trust between therapist and patient. – consider the patient as a whole, where body, mind and energy work together. This holistic approach is a guiding principle. – maintain a professional attitude and be aware of one’s responsibility regarding his/her attitude.